Lots to blog about here ... I just haven't organized anything ... yet! ;o) In the mean time, I would like to share with you some goodies I received from some wonderful people. 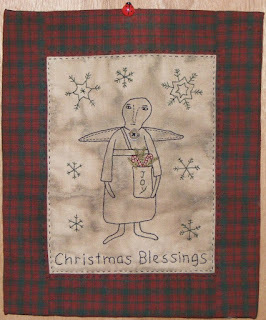 This is what the surprise envelope I received late December 2011 contained! Beautiful! Of course the picture does not do it justice. I love the prim look! 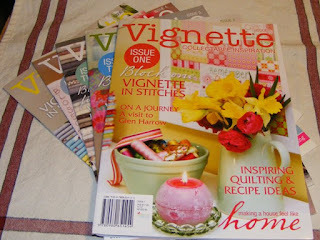 I have been coveting wanting the Vignette magazine by Leanne of Leanne's House for quite some time. 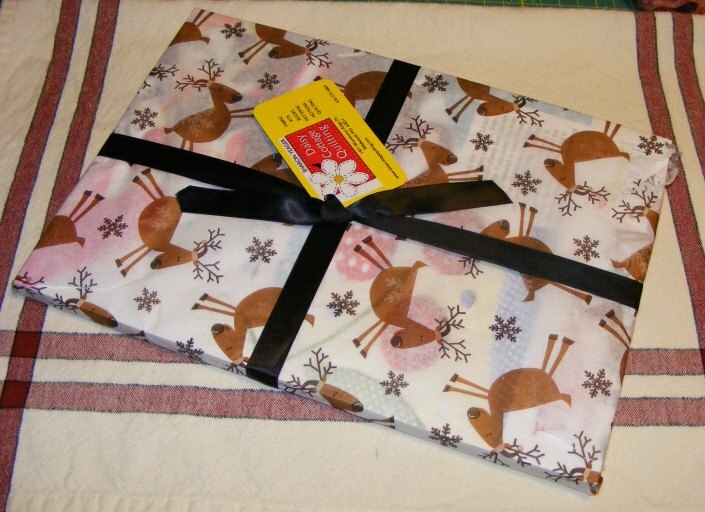 You can imagine my surprise when this package arrived in the mail from Daisy Cottage Quilting. Now I need to get off the computer and spend some time with my magazines. I just love Aussie magazines. How wonderful of Leanne to send you some of the magazines. I do love the quilting ones, wish we could get those and the japanese books in our stores. The stitchery from Deb is so wonderfully "prim". I need to get on her Christmas gift list! What fun mail!!! It is great when you get such lovely gifts. What great gifts! I have one of the Vignettes (I'll bet you can guess which one LOL) but I haven't gotten around to ordering any of the others. Naughty me! Nice gifts from blogging friends. Enjoy your time with those magazines. I have yet to see one in person. I had not heard of this magazine before but they sure do look interesting. Nice gifts you received. Do I have to have a title....?